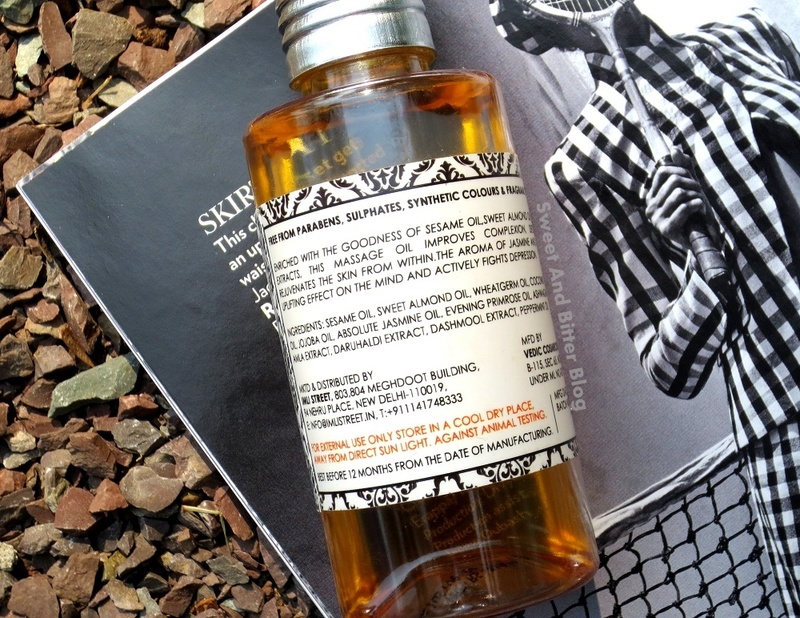 Claims of Imli Street Massage Oil– Free from parabens, sulfates and synthetic colors. Enriched with the goodness of Sesame Oil,Sweet Almond Oil and Herbal extracts, this massage oil improves complexion, detoxifies and rejuvenates the skin from within.The aroma of Jasmine and mint has an uplifting effect on the mind and actively fights depression. Texture – Light almond oil type. Get absorbed quickly (I apply on damp skin). Fragrance – I disliked it when I sniffed it from the bottle for the first time. But, after I applied it, the fragrance grew on me and since then I am in love with the uplifting flowery jasmine blend with fresh note of peppermint. There is more of jasmine than mint. It is a light fragrance but lasts long. In the morning, I can smell is it even on my night clothes. Cannot comment on its claim of fighting depression but the smell clears your head and relaxes mind. Usage - I used it as body moisturiser before sleep. My Experience – I started using it a month back and because I love its smell, I could not stop using it. Also, I have not skipped it for even a day. Fades marks and brighten skin - I got a slight burn (thanks to my stunts in the kitchen) but the mark is disappearing quickly. I just applied Vicco turmeric cream for first 2 days (that is a story for another day) and then just continued with this once a day. The mark is completely faded. Also, insect bite marks and other marks on my limbs are also fading rapidly. 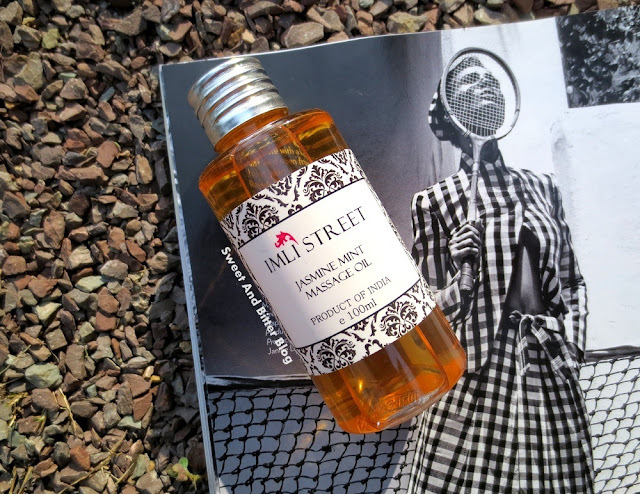 Overall – I highly recommend Imli Street massage oil. Completely natural and free of chemicals, you get better, brighter and marks free skin. Also, the fragrance is a delight on its own. After a month of uninterrupted use, I have finished half so, it will last me another month. ₹ 710 for an oil which actually works for skin and lasts two months is a great deal. I really wish that I had known about this before my wedding and used it instead of Forest Essentials Soundarya Oil.